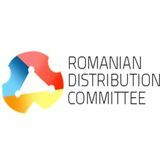 Romanian Distribution Committee Magazine distribution -magazine.eu Working with famous Romanian authors and internationally recognized external collaborators has made it possible to achieve a high scientific level of the articles signed by those who, in fact, take part in the Editorial Board. believe, smell and sound being more potent; (Lindstrom, 2009) as customers like touching, trying, tasting, smelling, and exploring the world of desirable objects (this artful juxtaposition of those objects making all the difference most of the times), this is probably the most powerful incitement to shopping and organizations need to give to their customers the opportunity to touch, try, taste, and smell the products offered. (Underhill, 2009) We ended our book by also remembering what we pointed out on the Romanian Distribution Committee Website (while commenting a book launch), expressing the hope that (despite the economic-financial and social crisis, of moral origin) education and culture can remove evil, education meaning first of all respect, respect for human beings, for the community ... for the past, the present and the future of the community. The Magazine is the result of a true partnership, by bringing scientists and practitioners together proving the passionate pursuit of knowledge for wisdom, the real passion for acquiring and sharing this knowledge inviting the readers to maturing interdisciplinary dialogue and building a transparent culture network. social implications, which could lead to the reasonable conclusion that any result are inherently partial and time sensitive, especially if we recall the exponential pace of ICT development, which is still mainly generated by Moore’s Law (which is generating very fast changes of IS/KBS and Earth environment/ecosystem). Perhaps another mode to express this vision is that the advances of technology and humankind evolution in the digital age have no limits as human intelligence/imagination has not and then it’s both positive and negative consequences have to be carefully and timely reconsidered as … refined knowledge. Now it is clear why we have considered that the cautious accent of this approach could be well confirmed by our motto, inspired by Thomas Jefferson. In a systemic approach, first we have to analyse the power of some actual intelligent ICT advances, which are mostly linked with AI and World sustainable development. Although it appears not linked with AI, we think it is very important and it is worth to start with a realistic and clear picture of the material base of what we above mentioned as the advances of technology. In fact, the exponential pace of ICT development is mainly generated by Moore’s Law (doubling every two years the number of transistors on a chip), but we have already presented (including in one of our books in 1989) that the progress of CMOS technology could end once the channel length will go down to the physical limits of the semiconductor integrated circuit processes  . As actually the 10nm technology is the highest peak this race reached, the fight for the next 7nm target was dramatically uncertain until Extreme Ultraviolet (EUV) lithography became a practical reality last year : “For more than a decade, the semiconductor-manufacturing industry has been alternately hoping EUV can save Moore’s Law and despairing that the technology will never arrive. But it’s finally here, and none too soon. Samsung was the first to claim it will be ready to produce chips for customers using EUV tools, saying that will happen in the second half of 2018. But its competitors GlobalFoundries, Taiwan Semiconductor Manufacturing Co. (TSMC) and Intel are clearly on track to do the same within a quarter or two... Intel has purchased more EUV tools than any other company” For having the concrete dimension and importance of EUV for ICT development, it is necessary to present more details of this excellent introduction of the whole context, made in : <<Gary Patton, GlobalFoundries’ chief technology officer, describes the 7-nm process even without EUV as “an extreme sport.”…Silicon wafers have to make many stops along the way in their transformation from smooth blanks to iridescent platters jam-packed with 13-billion-transistor microprocessors. And many of those stops take place inside a photolithography tool…Today’s state-of-the-art process is called 193-nm immersion lithography…The problem is that light can’t directly define features smaller than its own wavelength. And 193 nm is so much longer than the size of the features modern chips need. These days it takes a host of optical tricks and work-arounds to make up the difference. been integrated before: 2 million carbon-nanotube field-effect transistors and over 1 million resistive random-access memory (RRAM) cells, all built on top of a layer of silicon logic and connected by densely packed metal wiring between the layers” Beyond the amazing target to “improve both the energy efficiency and speed of computers by a factor of 1,000” and the challenge of continuing Moore's Law, along with the main tremendous feature of space reduction, the new technology of carbon-nanotube fieldeffect transistors will bring impressing contributions to green ICT by using lower temperatures: “Because of the temperatures needed to make silicon transistors-in excess of 1,000 °C-it's not possible to build conventional metal interconnects on top of a silicon layer and then add another level of silicon circuitry. Typically, the layers are made separately, then bonded together and connected with relatively large, sparsely distributed connectors called throughsilicon vias, says Max Shulaker, a computer scientist at MIT…Carbon-nanotube transistors and resistive RAM can both be fabricated at about 200 °C. This means they can be built on top of each other and linked up with metal interconnects without researchers having to worry about accidentally vaporizing the metal. The resulting web of interconnects in their prototype was more than 1,000 times as dense as the through-silicon vias in conventional 3D chips”. We have to observe, from all these examples and innovations, the hard struggle for seeming impossible targets and also the fact that ICT/AI bring for everyone, along with their products and services benefit of use, some remarkable learned lessons (exceeding education domains and leveraging refined knowledge generation everywhere) of how to efficiently progress by multiplying success models and innovations in the context of digital approaches and ubiquitous connectivity, as we have already presented . After all these details about the technological power laying behind ICT/AI and practically contributing to the World sustainable development, we have to analyse some ingredients that perhaps are prominent challenges for the AI progress, generally but not exclusively toward human like intelligence, including strategies to approach the target, context, models or algorithms, which could value the most of the amazing potential of these technological advances. 2. Refining knowledge from complex processes of Earth ecosystem It is more than obvious that the ICT/AI development must be optimized in many concerns, by a complex multi-dimensional approach, beyond the power of processing (speed), miniaturization and energy (which truly are crucial), one of them being undoubtedly the leveraging of refined knowledge for all activity fields where it is needed. Considering especially the AI development above mentioned challenges, it is important to observe from the beginning that reducing the target as the dream toward human like intelligence is not precise and nor efficacious. As a matter of fact we have to notice that one of the essential challenges of ICT/IS/KBS, thus including AI, is just the dynamic evolution of paradigms for most of structure levels, this being the main reason we have repeatedly presented as paramount the need for new (refined) knowledge in all activity fields of humankind and Earth ecosystem. fuelling innovations in service delivery. These advances offer the potential to unlock more economic value” The above opinions not only show the benefice expectations of AI applications, but reveal other essential challenges of ICT power to leverage refined knowledge in such priority fields. We have to notice that, in fact, unlock more economic value and fuelling innovations are among the most important goals of ICT development for IS/KBS and became naturally priority fields for the potential of AI to analyse simple industrial or more complicated economic data flows in order to extract information and leverage refining knowledge . A special attention has to be paid to innovations, which is a prominent key of progress for IS/KBS and beyond, for humankind life and personality. Another relevant aspect is the mention of the ICT advances (power) involved in this potential: Internet of Things, robotics, miniaturization, big data, analytics, cloud, mobile computing and smart devices. Last but not least, the decreased (power) supercomputing costs is mentioned as a potential to unlock more economic value, but we would add unlocking more resources for other priority fields, as the huge potential of AI for the health domain and generally for refining knowledge on humankind survival in Earth ecosystem. Consequently we could notice, as a matter of fact, that, in order to fully optimize the intelligent ICT development, including AI, we have to further analyse how wisdom could influence our power and why this development has to teach us to understand, in this context, the Thomas Jefferson’s deep thinking. 3. Conclusions The actual context of exponential pace of ICT development, which is still mainly generated by Moore’s Law, is analysed in the paper, considering scientific, technical, economic and social implications, which led to the reasonable conclusion that any result are inherently partial and time sensitive, due to complexity and fast pace of these evolutions. A realistic and clear picture of the material base of the advances of technology, which support this pace and Moore’s Law, is presented by some relevant actual examples. The 10nm technology is the highest peak this race reached, but the fight for the next 7nm target was dramatically uncertain until Extreme Ultraviolet (EUV) lithography became a practical reality last year, reason for which it is shortly detailed, along with main trends of implementations by GlobalFoundries, Taiwan Semiconductor Manufacturing Co. (TSMC) and Intel, i.e. the World leaders. 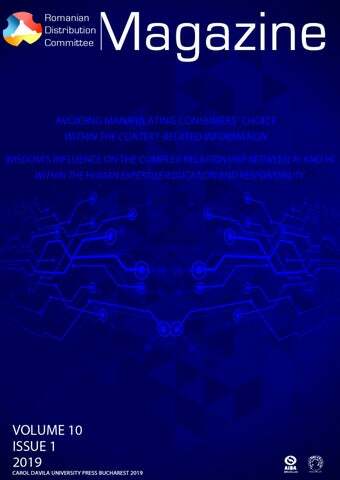 Another revolutionary technology, the carbon-nanotube field-effect transistors, which has the amazing target to “improve both the energy efficiency and speed of computers by a factor of 1,000” and the challenge of continuing Moore's Law), is also presented. After analysing some strategies and methods to approach the target, context, models or algorithms for developing AI, the complex relationship between AI and HI proved to be essential, as the huge diversity of ICT networks, equipments and software/applications could not be created and used without the AI-HI symbiosis, i.e. working in a mutual dependence. Green issues have become increasingly important to corporate decision makers as companies are facing some delicate issues. Although environment issues influence all human activities a few disciplines have integrated green issues into their literature. People are becoming more concerned about environment issues, even the corporate started modifying their business strategies. According to the American Marketing Association, Green Marketing is the marketing of the products that are presumed to be environmentally safe. Green Marketing incorporates a broad range of activities including product modification. The term Green Marketing or environment have received a great deal of discussion. Environment concerns have gained momentum in business as well as in public life. From the beginning of the 1980â&#x20AC;&#x2122;s there have been ecological issues such as Global warming, Greenhouse effect, Pollution and climate changes which are directly related to industrial manufacturing. Green market is identified as a part of market segments based on the greenness of the consumer. So, Green Marketing is dealing with fair trade of socio-economic benefits as well as environmental responsibilities through green business. Due to increase of environmentalism which has dominated the world, there has been a raise in consumer concern with regard to environment protection and increase in the demand of Green Products. Green Marketing refers to holistic marketing concepts. Green marketing incorporates a broad range of activities including, product modification, change, to the production process, packaging changes, as well as modification of advertising. There are some organizations implementing strategies which aim to solve ecological issues and build up the long term interest towards consumers. Some business has been quick to accept concepts like environmental management systems and waste minimization have integrated environmental issues into all organizational activities. Many governments around the globe have become so concerned about green marketing activities and they have attempted to regulate them. Green marketing refers to the process of selling product and/or services based on their environment benefits. Such a product or service may be environmentally friendly in itself or produced and /or packaged in an environmentally friendly way. Green Marketing, also alternatively known as environmental marketing and sustainable marketing, refers to organizationsâ&#x20AC;&#x2122; efforts at designing, promoting pricing and distributing products that will not harm the environment. The holistic management process responsible for identifying anticipating and satisfying the requirements of customers and society, in a profitable and sustainable way. The marketing or promotion of a product based on its environmental performance or an improvement thereof Green Marketing also refers to an organization that puts its efforts in to promoting, pricing and distributing products with eco concern. Characteristics of Green Products Green Products are those which are manufactured by using green technology and that also do not have any negative impact on the environment. Green products have following characteristics: I. II. III. IV. V. VI. VII. VIII. Products those are grown originally. Products those are recyclable and reusable. Products with natural ingredients. Products which are having recycled contents and non-toxic chemical elements. Product content under approved chemical. Product that do not harm or pollute environment. Products that will not be tested on animals. Products that have ecofriendly packaging. products have been developed in many countries. These networks have done life analysis to understand the impact of products . 4. Government have also taken several measures that have supported and facilitated such moves by business. Key issues for the future include: 1. Health: A sentry lifestyle combined with health impacts of environmental pollution and emissions, use and abuse of pesticides, anti â&#x20AC;&#x201C;biotic etc. 2. Pollution and consumption: Population increase, ageing populations, consumption patternliving beyond means etc. 3. Globalization : Transboundary effect and free trade have both advantages (efficiency, profits, opportunities, demand) and disadvantages (unemployment, weaker control, unfair trade) etc. 4. Energy: Every source of energy has an environmental impact. Energy efficiency is not just technology, but also cutting back. 5. Water: Water use is increasing at twice the rate of population increase. Much can be done at the individual level. 6. Chemicals: Use of pesticides and other hazardous chemicals. 7. Natural World: Considerable pressure put on the natural world due to population increase and rises in consumption. 40% of all plant growth is consumed by human. Why itâ&#x20AC;&#x2122;s time for business to go green Today most if not all companies recognize that climate change is a problem, some are marking attempts to solve the problem, resulting in a wave of sustainability, climate change, and environment projects. Here are the drivers for addressing suitability, listed in order of importance. 1. Company or brand image 2. Cost savings 3. Competitive advantage 4. Employees satisfaction, moral or retention 5. Product, service or market innovation 6. Business or process innovation 7. New source of revenue or cash flow 8. Effective risk management Challenges in Green Marketing 1. Green products require renewable and recyclable material which is costly. 2. Requires a technology, which requires huge investment in Research and Developement. 3. Water treatment technology is too costly. 4. Majority of the people are not aware of green products and their uses. 5. Majority of the people are not willing to pay a premium for green products OPPORTUNITIES It appears that all types of consumers, both individual and industrial are becoming more concerned and aware about environment. As demand changes, many companies see these changes as an opportunity to be exploited. Given this aspect, it can be assumed that marketing goods corporations with environmental characteristics will have a competitive advantage over companies marketing non environmentally responsible alternatives. There are numerous examples of firms who have strived to become more environmentally responsible, in an attempt to better satisfy their consumer needs. This is not to imply that all firms who have undertaken environmental marketing activities actually improve their behaviour. In some cases firms have misled consumers in an attempt to gain market share. In other cases companies have jumped on the green bandwagon without considering the accuracy of their behaviour, their claims, or the effectiveness of their products. This lack of consideration of the true "greenness" of activities may result in firms making false or misleading green marketing claims. Conclusion Green Marketing Green marketing is a tool for protecting the environment for future generation. It is not going to be an easy concept. The company has to plan and then carry out research to find out how feasible it is going to be. Green marketing has to evolve since it is still at its infancy stage. Adoption of Green marketing may not be easy in the short run, but in the long run it will definitely have a positive impact on the company. Ultimately green marketing requires that consumers want a cleaner environment and are willing to pay for it, possibly through higher priced goods, modified individual lifestyles, or even governmental intervention. Until this occurs it will be difficult for companies alone to lead the green marketing revolution. An environmental committed organization may not only produce goods that have reduced their detrimental impact on the environment, they may also be able to pressure their suppliers to behave in a more environmentally responsible fashion. Final consumers and industrial buyers also have the ability to pressure organizations to integrate the environment into their corporate culture and thus ensure all organizations minimize the detrimental environmental impact of their activities. Prothero, A. (1998). Green Marketing: The 'Fad' That Won't Slip Slide Away. Journal of Marketing Management, 14(6), July, pp. 507-513. Ottman, Jacquelyn. (1993). Green Marketing: Challenges and Opportunities for the New Marketing Age. Lincolnwood, Illinois: NTC Business Books. Green Marketing” (2010). Journal: Business Practices. 6. J.A Ottman,. Et al, "Avoiding Green Marketing Myopia", Environment, Vol-48 Mathur, L.K., Mathur, I. (2000).An Analysis of the wealth effect of green marketing strategies, Journal of Business Research, 50(2) Martin, K.D. and Smith, N.C. (2008), ‘Commercializing Social Interaction: The Ethics of Stealth Marketing’, Journal of Public Policy and Marketing, 27(1). Pickton, D. and Broderick, A. (2005), Integrated Marketing Communications. Harlow: Pearson Education. value to their daily lives are driving the new imperative for customer obsession, CX revealing the gap between retailers’ marketing execution and potential for results, and in order to meet the ever-rising expectations of their customers retailers being challenged to approach a proper marketing strategy. Retailers are more and more aware of the challenge of delivering personalized CX across journey stages and touchpoints (social channels, devices, mobile apps) through a single point of control over data, decisions and interactions (a customer data platform/CDP breaking the cycle of data silos and making possible for everyone in the organization to see the same record) and ensuring a seamlessly connection between strategy, management and customer value. (Nash, 2019) As the Chief Marketing and Strategy Officer at RedPoint Global, John Nash, underlined recently, retailers are enabled to coordinate their web and in-store interactions with customers in real time by using a single point of control over customer data, the foundation of the modern marketing technology infrastructure being ensured by the combination of these comprehensive data with machine learning and Omni channel orchestration. Nash made reference to the 2018 joint survey by RedPoint Global and the Chief Marketing Officer (CMO) Council– entitled “The State of Engagement: Bridging the Customer Journey Across Every Last Mile” – where there were revealed among other aspects that engagement (customer engagements lacking collaboration or connection) is also an intelligence issue (so more than just a data issue), marketers needing the ability to transform data into real-time action, continuously improving, bridging the gap between customer expectations and their CX strategies (going beyond closing gaps across journeys and technologies), taking into account the overall state of their organization’s CX (rated as shown in the figure below). feelings, the foundation of retailing being the understanding what we as consumers want and need. (Purcarea, 2019) We have also seen recently, for example, how important it is for marketers to identify the segments for organic fruits and vegetables which are most likely to buy organic, and also to understand whether consumers are accurate in their self-assessment. (Baglione, Tucci and Stanton, 2019) In March this year McKinsey’s representatives, while approaching the challenges faced by the dairy companies within the shifting landscape and long-term trends, highlighted, among other aspects: the millennial effect in the dairy industry, millennial consumers’ behavior influencing shoppers across generations; the underdeveloped opportunity for growth represented by consumers’ desire to know more about dairy products, they redefining the meaning of “healthy” and “better for me” mean, for many CPG categories this focus on health and wellness (consumers’ perceptions being often contradictory and varying across categories; recommendation algorithms are increasingly influencing consumers’ purchasing behavior) being a must-have; the intertwine between the traditional and online shopping (about 20% of consumers are already making online purchases); data-driven customer segmentation is becoming a top priority, every interaction generating more data. McKinsey’s representatives also underlined within this framework that in order to serve new demand niches there it is necessary to make the supply chain more agile and flexible. (Adams et all., 2019) Also at the beginning of March this year we found out from another RetailWire Discussion that the ultimate differentiator for physical stores should be to demonstrate food expertise, as one of the four areas (together with: assortments missing several trending categories; stores are still geared for the wrong time of day; shoppers leaving without pleasant human contact) where supermarkets are generally falling short of delivering compelling experiences in the store, according to the Retail Feedback Group’s (RFG) annual “Supermarket Experience Study”. (Madenberg, 2019) Experts’ comments within this discussion revealed that grocery store’s people are remaining its Achilles’ heel, shoppers wanting more interaction with staff, friendly staff making every shopping experience fun, including efficient checkout, this staff being one of the three key areas of good retailing (together with supply chain and space). The idea of creating a “goodwill ambassador position” (as a store assistant greeting shoppers and asking them if he can assist in any way) was even brought in discussion. Prof. Dr. Bernd Hallier, President of the European Retail Academy (ERA: http://www.european-retailacademy.org/), an Honorary Member of the Romanian Distribution Committee, and distinguished Member of the Editorial Board of “Romanian Distribution Committee Magazine” attracted our attention on great events happening in the first quarter 2019, and allowed us to present them. It is also worth remembering that: immediately after visiting Romania for the first time on the occasion of the 24th International Congress of the International Association for the Distributive Trade (AIDA Brussels), Prof. Dr. Bernd Hallier sent us, in May 2008, a memorable letter we have referred initially in the Journal of the Romanian Marketing Association (AROMAR), no. 5/1998, and also later, in 2010, in the first issue of the Romanian Distribution Committee Magazine; the Romanian-American University has awarded Prof. Dr. Bernd Hallier a “Diploma of Special Academic Merit”; the “Carol Davila” University of Medicine and Pharmacy, Bucharest, has awarded Prof. Dr. Bernd Hallier a “Diploma of Excellence”. the Bologna-process even to study abroad and to gain foreign experience: â&#x20AC;&#x153;Cotrugli is for example at the moment awarding a total of 20 scholarships for MBAs and Executive MBAs in Serbia ...â&#x20AC;? and organized by Circle International and the University of Vitez/Bosnia-Herzegovina MBAs and PhDs are offered in a mainly virtual college with the additional flavor of international annual conferences to present the papers" (Download flyer) he explained in an interview. AEF 2019 In 2007 the President of the Republic of Kazakhstan, Nursultan Nazarbayev, initiated the creation of an Eurasian Club of Scientists (EECSA). Together they started in 2008 the first Astana Economic Forum. The power gained in the last decade and the goals are very well demonstrated in the Review 2018. Over the last 11 years the forum attracted 50.000 delegates from 150 countries of the world, including over 20 Nobel Laureates and 30 high-level foreign political figures. The next Congress will be 16/17th May, 2019 with the topic “Inspiring Growth: People, Cities, Economics”; it will be supported by the European Retail Academy as Prof. Dr. Bernd Hallier explained in a statement. CIRCLE 2019 CIRCLE International is a cross-faculty, pan-university research group initially created at Leeds Metropolitan University/UK. Beside its purpose to bring professors and students together annually for rotating Conferences within Europe - in 2019 it has also a special focus "Digital Intelligence". In 2019 the host will be the University of Gloucestershire/UK - having an education tradition stretching back to 1847. The Conference will take place April 25th-26th; contact via circle2019@glos.ac.uk. “The city has a well-known Cathedral - and also Stratford-uponAvon is nearby” Prof. Dr. Bernd Hallier remarked about the cultural challenges of the surrounding. CORP 2019 The international Competence Center of Urban and Regional Planning (CORP) is inviting for its 24th Conference on April 2nd - 4th, 2019 into the city of Karlsruhe/Germany (Download Program). Co-organizer will be the Karlsruhe Institute for Technology (KIT), which has more than 9.000 employees and an annual budget of 800 million Euros. According to Prof. Dr. Bernd Hallier/ERA this conference brings together experts from all over the world as can be seen already at the January status quo of the World map. EuroCIS Started in 1992 as an annual congress show to bridge the years between the triennial EuroShop exhibition meanwhile EuroCIS is an annual hot spot for the European retail technology. During the EuroShop years as a special segment and in the two years in-between as a well-respected stand-alone exhibition in the caliber of market-leader! EuroCIS covered in 2018 a floor-space of 14.400 square meters net, occupied by 468 exhibitors. It attracted 12.000 visitors. “Also in 2019 we expect many international visitors combining the fair events in Düsseldorf with store visits of the European Retail Academy in the North Rhine Westfalia region” (see also LINK) Prof. Dr. Bernd Hallier stated. Entrepreneurship In Zagreb/Croatia a World Congress of Entrepreneurs was organized jointly by business, universities and local, regional and national governments mainly from the area of former Yugoslavia plus Austria and Germany. It was a call to encourage the civil society to participate in a social market economy and the spirit of entrepreneurship. The backstage organization will monitor and support the activities gathered in the Horizon 2020 Initiative of the European Union. To underline the importance a monument was established to remind of the ZagrebDeclaration (read here), which will be followed by a 2019 Congress in the city of Skopje/Macedonia. Léon F. WEGNEZ (by courtesy of) -“Shop windows, a real way to succeed in shopper marketing”, “Distribution d’aujourd’hui”, 56ème année, Novembre- Décembre 2015, Brussels Sharing with our distinguished Readers a well-known source of usable and useful knowledge… Prof. Dr. h. c. Léon F. WEGNEZ is an Honorary Member of the Romanian Distribution Committee, and distinguished Member of the Editorial Board of our “Romanian Distribution Committee Magazine“. The distinguished Léon F. Wegnez was honored by the European Retail Academy (ERA) as the 2015 “Man of the Year” (the distinguished personalities who have been honored by ERA in previous three years were: Romano Prodi, Klaus Toepfer, and Robert Aumann). Knowing our distinguished readers’ thirst for knowledge, we offer you, we offer you, by courtesy of this remarkable personality, the above mentioned article published in the prestigious “Distribution d’aujourd’hui”. It is well-known what it was underlined in 1996 by the “Position Paper, Chapter16: SME” (http://www.mie.ro / Negocieri/Romana /Documente_ pozitieRom/CAP16-DP) at Point 3 – “Capacity to implement the acquis communautaire… • In the field of commerce and distribution, in 1996, the Romanian Distribution Committee was established as a legal association, affiliated to the International Association for the Distributive Trade”. A year later, in March 1997, we received Thanks (Letter) from Riccardo Garosci, the European Rapporteur for the “Green Book on Commerce” prepared by the European Commission, for the “contribution to the professional development of European Commerce”; a year later, in May 1998, Riccardo Garosci, Vice President of Economic and Monetary Commission of the European Parliament, European Rapporteur for „Green Book for European Commerce”, and President of the “Commerce and Distribution” Intergroup of the European Parliament, opened the works of the 24th International Congress of A.I.D.A. Brussels, organized in Bucharest, at Athénée Palace Hilton. And the next year, in 1999, reference was made to the Romanian Distribution Committee in the study “Marketing issues in transitional economies”, Springer, 1st edition, August 31, 1999, Rajeev Batra, William Davidson Institute (at the University of Michigan, USA), Business & Economics, page 167, for acknowledging the specific Romanian undertakings of adapting to European and world economic structures. It is our honor and pleasure to share with our Readers our respect for towering figures in the history of the Romanian Distribution Committee, recognized as leading voices about professional matters, with a true passion for trade and development, showing dedication and genuine commitment, making us working with them by better understanding different perspectives, always being tenacious and focused but also the nicest person in the room, and always proving having the art of understanding another person, making all of us think we could do something smarter and faster, relying on coopetitive alliance. Weâ&#x20AC;&#x2122;re very pleased to announce that our next issue, May-June 2019, will mark a significant anniversary of A Valuable Member of Our Team: A great time to honor the deserved recognition for dedication, qualities and value!